Unsure what to buy a friend or relative for a gift? Country Collection gift vouchers are the perfect solution. 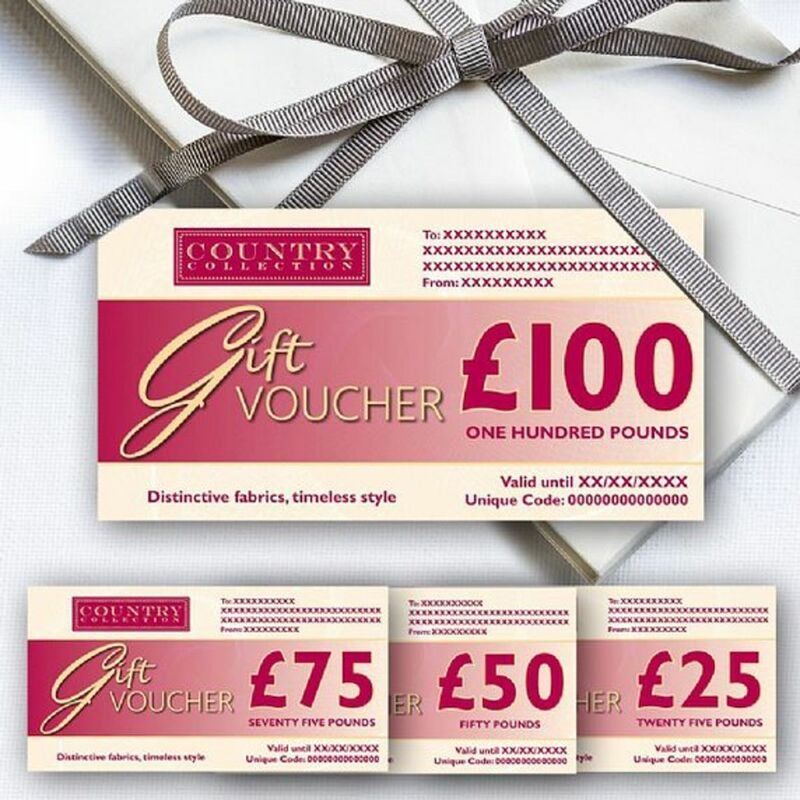 Gift vouchers are available to purchase online in the following denominations: £25, £50, £75 or £100. Simply select the amount you wish to purchase from the drop down box opposite. This voucher cannot be exchanged for cash, credit or other and should be redeemed by the recipient for merchandise at a higher price than its face value. You may have a special message imprinted on the gift voucher.